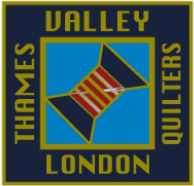 Are you interested in becoming a member of the Thames Valley Quilters Guild? Or are you a returning member? Please send a message to thamesvalleyquiltersguild@gmail.com requesting a registration form.